How are we different than an ad agency? When I was managing my Culligan dealership in Farmington, NM, I was on a tight budget. When only a couple calls came in I was curious to find out what those campaigns cost so I could figure out my ROI. Trying to nail down the hard cost of the campaign was like trying to play darts with spaghetti. So there I was with a million other fires to put out and I had no idea what I just spent my marketing budget on AND leads remained stagnant. I had to rely solely on the effectiveness of our sales training to close more of these stagnant and even declining leads. A way to for us to know what was working… and why! On that day I decided that, if no one else could tell me what was going to work, I’d just figure it out for myself. Though I was no longer a Culligan dealer, dealers had heard about my approach and asked if it would work for them. For years they had accepted that they know 50% of their marketing is working. The fact that they didn’t know which 50% was just a cost of doing business. 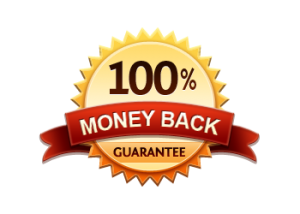 My team of trained web experts guarantee to outperform any existing Culligan site out there. Why? Because I got tired of playing darts with spaghetti. So my team developed a solution that would help you not be in the position I was. When we tell dealers we guarantee we’ll improve your current results, they understandably glaze over a bit. After all, it’s a crazy idea, right? No one can actually guarantee marketing results! Though we can’t claim to be able to track the effect of your Culligan truck on all who see it every day, what we can do is measure cause and effect. By that I simply mean… If your trucks are always on the road, the effect they have is constant. If you now start a TV campaign. Something changed and we can measure that change online to a higher degree of accuracy than ever before. Is it perfect? Of course not. Nothing is. Is it better than any other methodology out there. We guarantee that it is. After 3 years and 40 Culligan sites, the question we still get asked most often is – What do you do? We create scientific websites, Adwords, SEO and Online Directory optimization campaigns that tell us what works in your hyper-local market to bring you more contacts. We had a great looking website but it wasn’t generating leads. We had good ads but we were not getting results. Then we signed up with Bryan Trilli and his Optimized-Marketing Team. Fill out the form below to get your $100 web presence analysis today. What are your biggest internet marketing priorities?